Drew Estate's Master Blender Willy Herrera challenged the company's roller team responsible for their remarkably popular Undercrown cigars to develop a new Connecticut blend. Well over a year later, the combined efforts of Willy and the rollers paid off with the introduction of Undercrown Shade. Dominican Criollo '98 and Nicaraguan Criollo and Corojo fillers are bound by a Sumatran binder and covered in a beautiful golden Ecuadorian Connecticut leaf, a blending that gives this mild to medium-bodied premium cigar a lush, smooth, and creamy flavor with a natural sweetness. 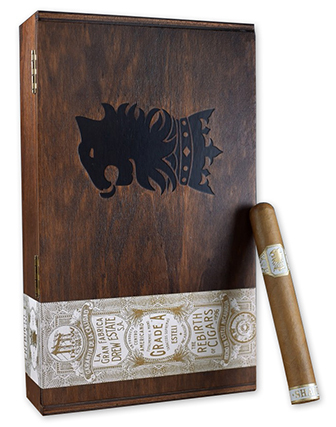 Undercrown Shade is a refined and balanced smoke with great depth and is certainly a worthy addition to the Undercrown ranks and your humidor. Milan Tobacconists, Inc. is a Liga Privada appointed merchant.